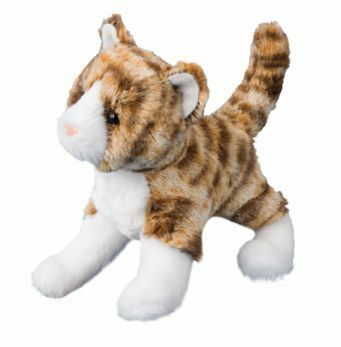 Sadie the Tiger Striped Cat is adorable, a taste of the big cats in tiny cat size! 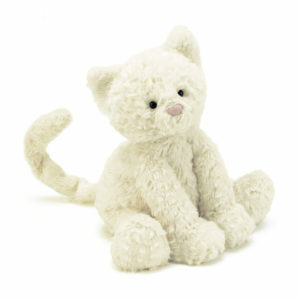 Extremely soft and made for cuddling! 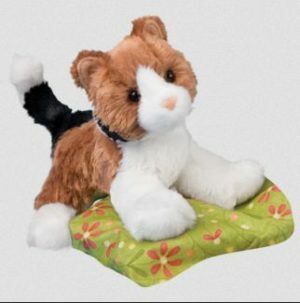 Fuddlewuddle Kitty kicks up a kerfuffle as she plays, swinging her tail with a playful meeow! How does she stay so milky-white, rolling through all that ketchup and mud? 8 in. 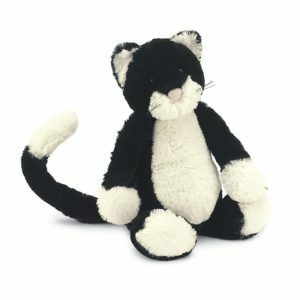 Breed specific details and distinctive fabrics make this fluffy, stuffed toy cat a great pick-up gift or toy. 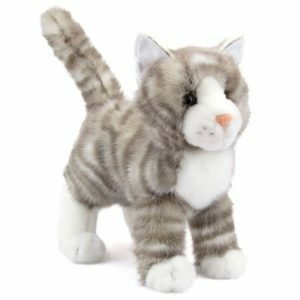 12 standing 'Zipper' stuffed grey Tabby cat with realistic face and soft, cuddly fur.